Silverberg P.C. is dedicated to serving the legal needs of the construction industry with particular emphasis on resolution of construction contract claims and disputes. We are also dedicated to serving the general legal needs of our clients including general business litigation, labor and employment issues, estate planning and more. 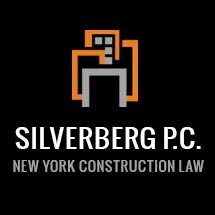 Silverberg P.C. 's mission is to provide our clients the highest quality legal services in the most efficient manner possible. This includes providing clients an accurate and thorough assessment of their legal positions so they can make informed business decisions. We will work tirelessly to preserve and protect our clients' rights. We also offer mediation services. Mediation provides an informal opportunity for parties to resolve their construction claim disputes.